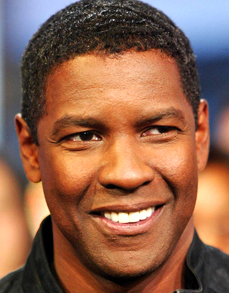 Denzel Washington was born in Mount Vernon, New York, USA (December 28, 1954). Washington’s education was journalism at Fordham University, after graduation Denzel went to San Francisco for enrolling American Conservatory Theater. After one year later, he left American Conservatory Theater to find work as an actor. 2 Guns (2013) with Mark Wahlberg, Paula Patton and James Marsden. In 1989 62nd Academy Awards, Denzel won Best Supporting Actor with Glory. In 2001 74th Academy Awards, Denzel won Best Actor with Training Day. Denzel Washington has been married actress Pauletta Pearson on June 25, 1983. Denzel and Pauletta have four children.